Professor K.C. Yuen, Ph.D., ASA, received his Ph.D. from the University of Calgary in Canada. 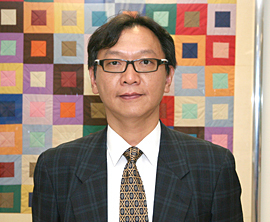 He joined the University of Hong Kong in 1993, and is currently a Professor in the Department of Statistics and Actuarial Science. 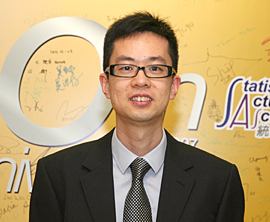 He is the founder of the Actuarial Program and the Program Director at the University of Hong Kong. His research topics include insurance risk models with dependence, optimal dividend strategy, optimal investment and reinsurance, ruin probability and related problems, survival analysis and computational statistics. Dr Eric C.K. Cheung, Ph.D., ASA, received his Ph.D. and a Master’s degree in Actuarial Science from the University of Waterloo. He joined the University of Hong Kong in 2010 and is current an Assistant Professor in the Department of Statistics and Actuarial Science. His research topics include insurance risk theory, ruin theory, aggregate claims analysis, queueing theory, stochastic processes and financial mathematics. Dr K.C. 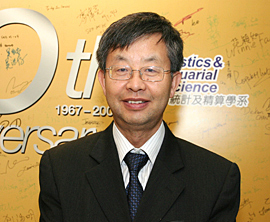 Cheung, Ph.D., ASA, received his bachelor's degree in Actuarial Science and his Ph.D. from the University of Hong Kong. He joined the University of Hong Kong in 2008 and is currently an Associate Professor in the Department of Statistics and Actuarial Science. His research topics include extremal dependence structures, risk measures, stochastic orderings and optimal reinsurance. He received the Fortis Chair Prize for the best paper in Insurance: Mathematics and Economics Congress 2009. Dr J.K. Woo, Ph.D., FSA, CERA, received her Ph.D. and a Master’s degree in Actuarial Science from the University of Waterloo. She joined the University of Hong Kong in 2012 and is current an Assistant Professor in the Department of Statistics and Actuarial Science. Her research topics include risk theory, stochastic processes, reliability theory, queueing theory, renewal equation, actuarial mathematics and credibility theory. Professor H.L. Yang, Ph.D., ASA, HonFIA, received his Ph.D. from the University of Alberta in Canada and a Master’s degree in Actuarial Science from the University of Waterloo. He joined the University of Hong Kong in 1996 and is currently a Professor in the Department of Statistics and Actuarial Science. His research topics include equity-linked insurance products, optimal investment policies, option pricing and ruin probability and related problems. In 2014, he was elected as an Honorary Fellow of the Institute and Faculty of Actuaries and a Corresponding Member of the Swiss Association of Actuaries in recognition of his research accomplishments and contributions. He also received the University’s Outstanding Researcher Award 2013-14.